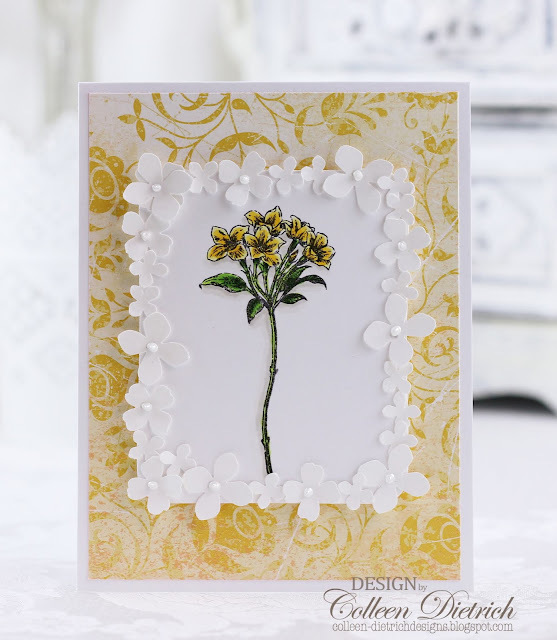 It was FUN to make this first card, dressing up that pretty yellow floral sprig with white punched flowers, topped with white Liquid Pearls. 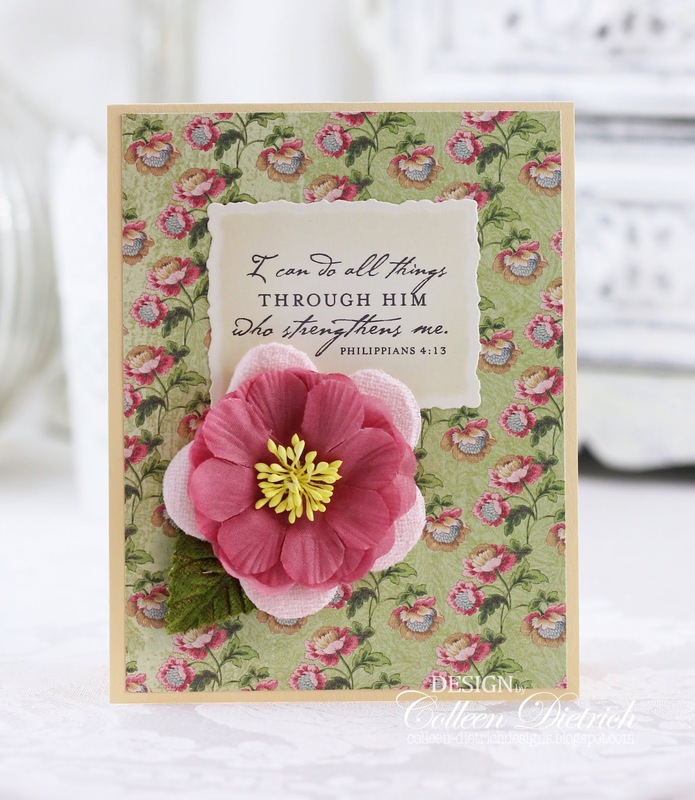 The next one is also simple in style, putting the focus on that beautiful fabric flower from Anna Griffin and the verse from Scripture that I think of often: "I can do all things through Him who strengthens me." - Philippians 4:13. When I begin to doubt my ability to do things, I remind myself that Jesus is always with me, and He gives me strength. 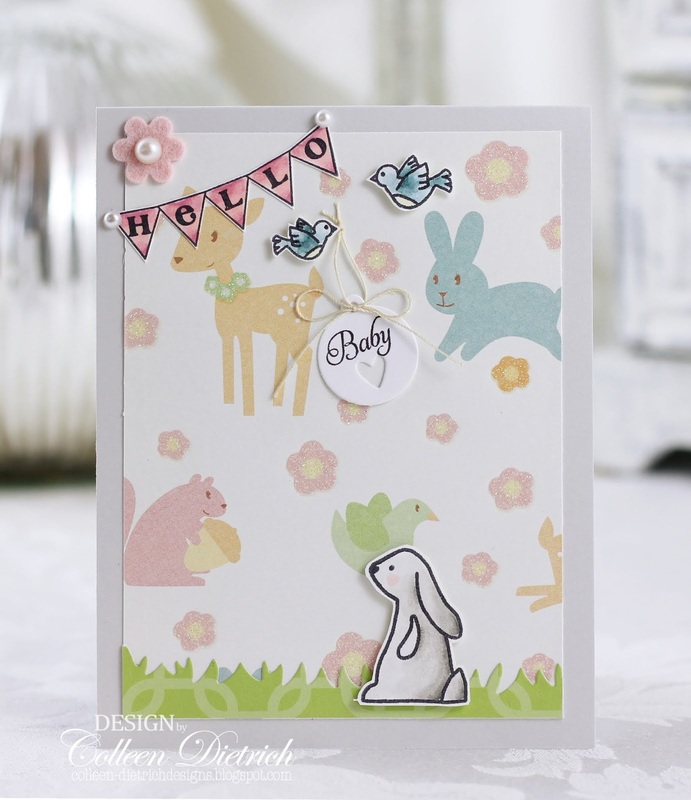 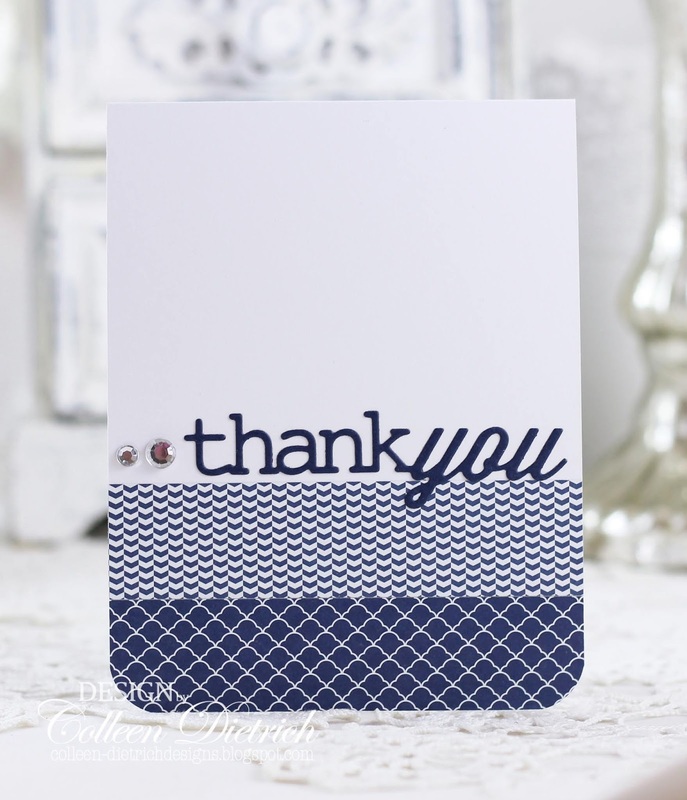 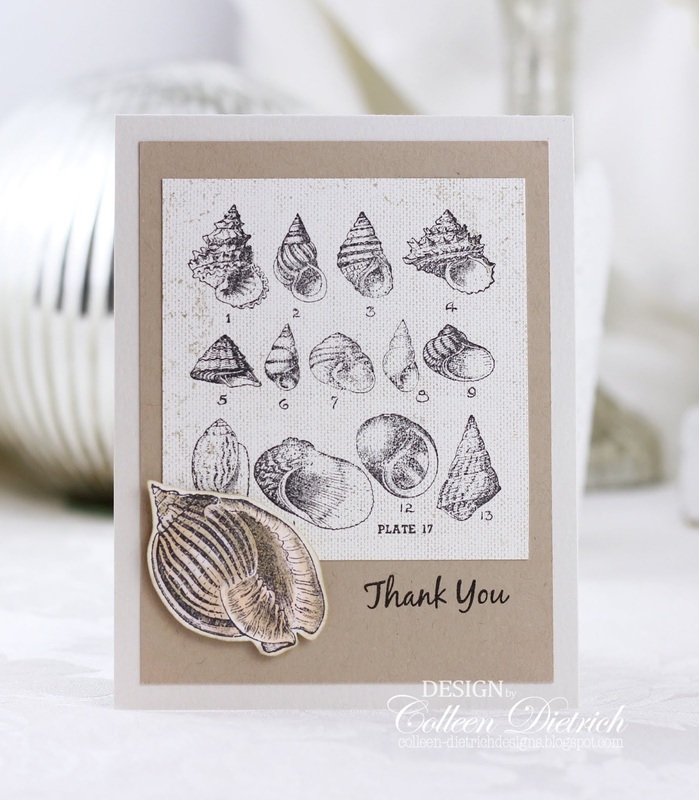 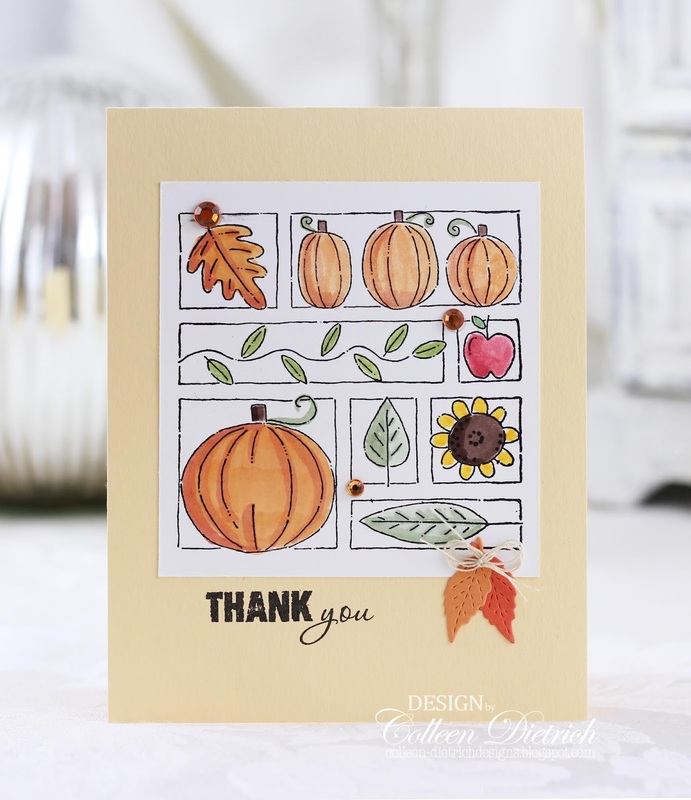 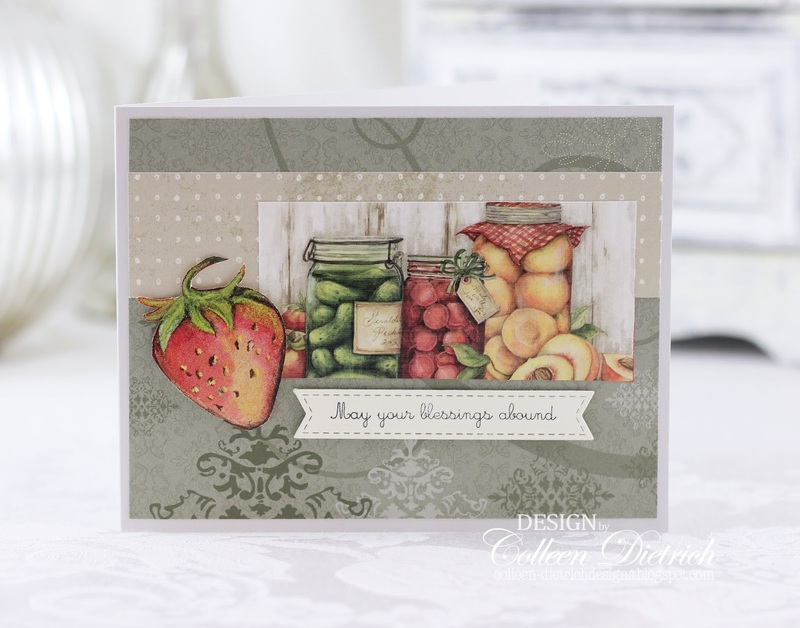 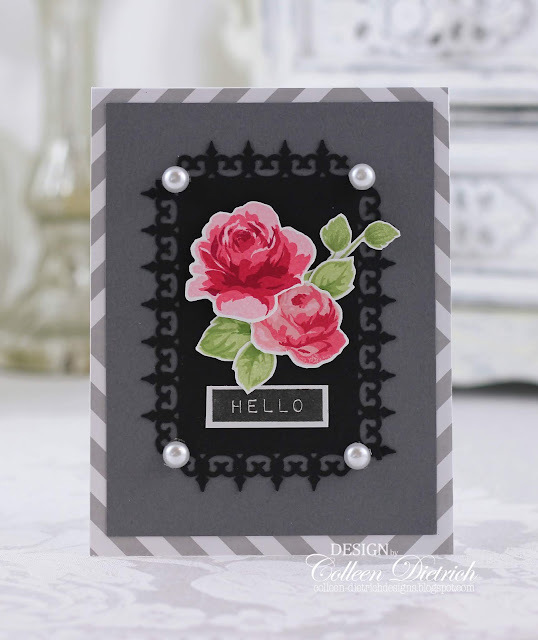 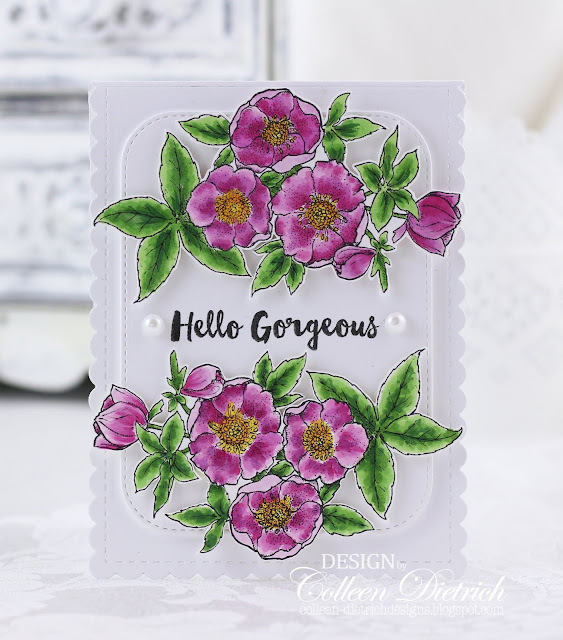 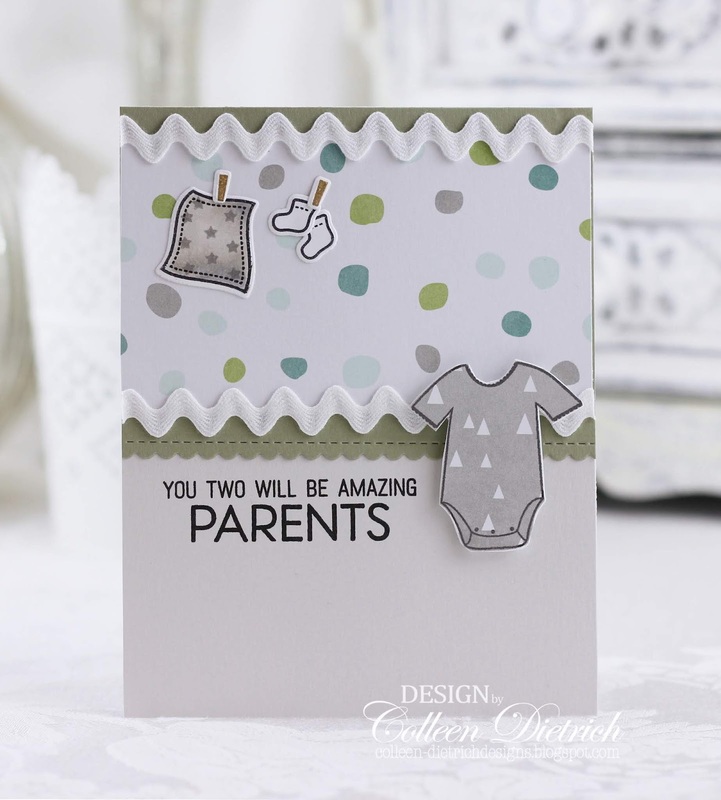 The next card relied heavily on things I found in a Stampin' Up! scrap bag that I bought from my friend, Gail. Those flowers are so pretty! Gail had already die cut the two circles, and she even trimmed out that pink flower. 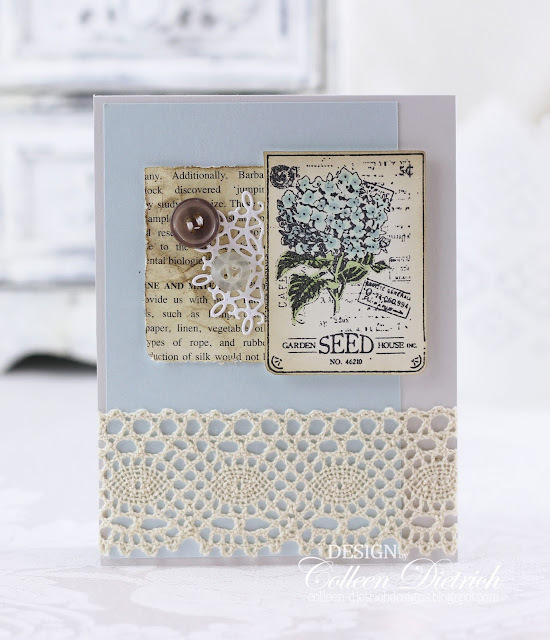 All I did was layer things together and add a few pearls. Done! 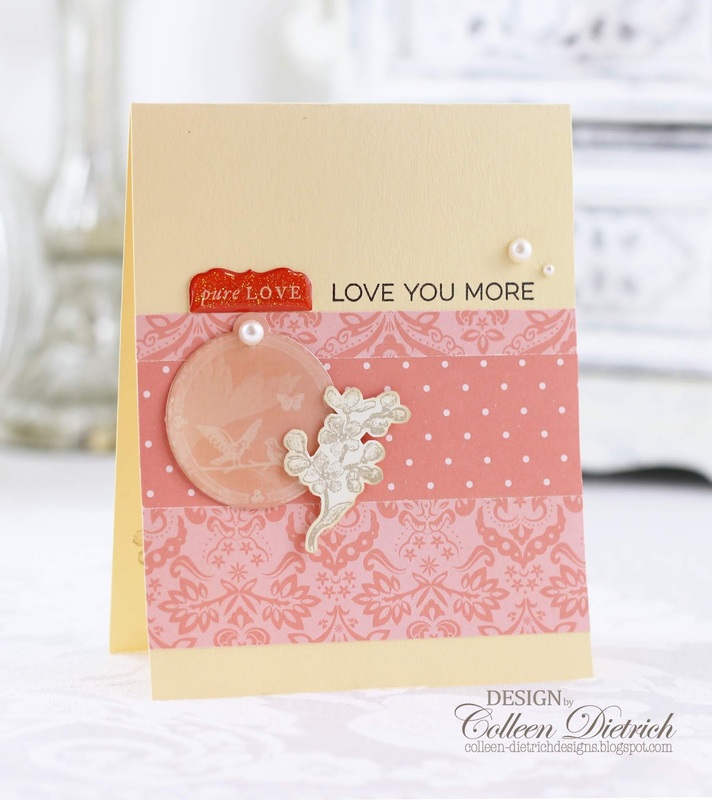 The large, lacy die cut heart was also found in a scrap bag, along with that stamped sentiment tag (Gail stuffs those bags with the neatest things! 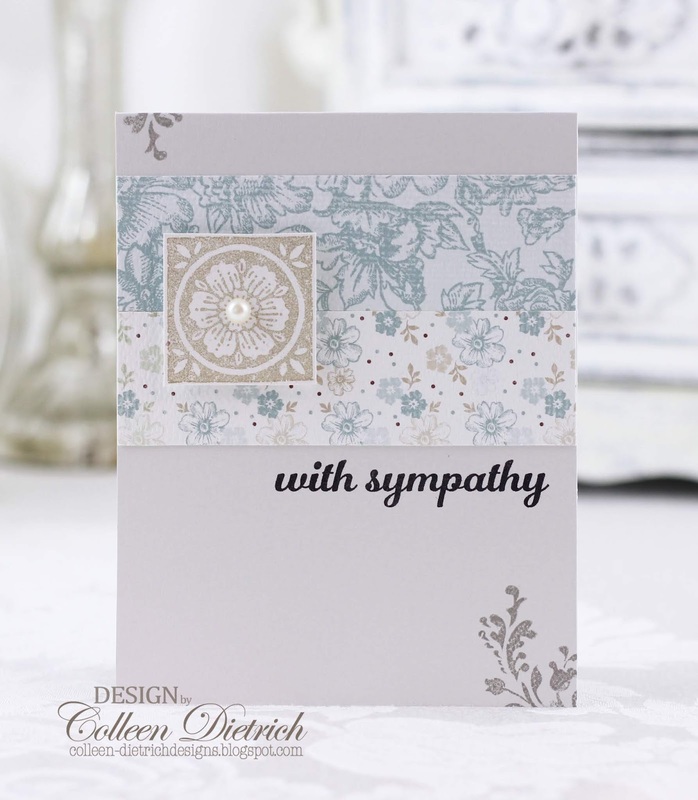 ), so I paired them together and, once again, just added some pearls....and a twine bow. I worked a little harder on the next card. 😏 I used a floral paper from the scrap bag, along with a text-y strip from a My Mind's Eye 12 x 12 paper pad (Madison Ave, maybe?) on a yellow card base, to pull out the yellow flowers. 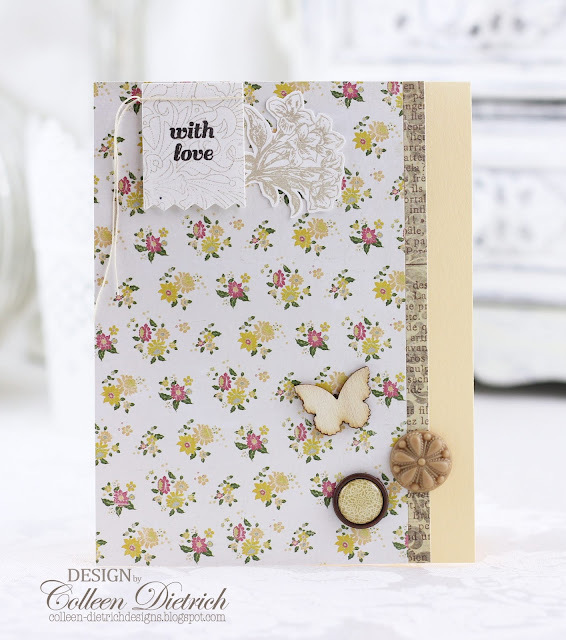 I grouped random things in the bottom corner - a wooden butterfly, a small round decorative brad, and a Baked Brown Sugar accent medallion. 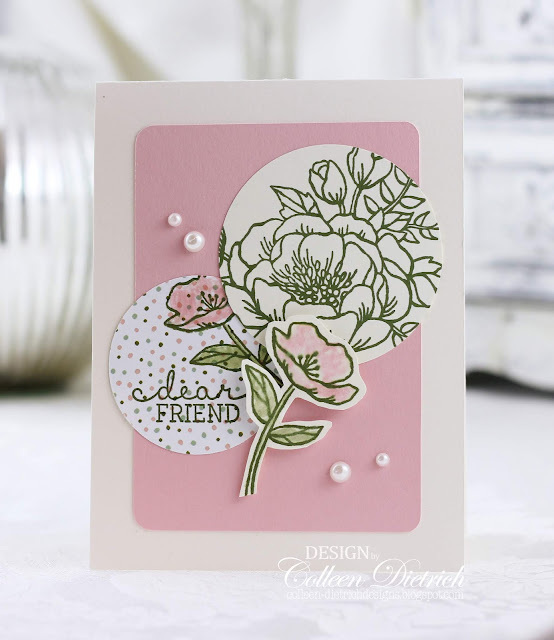 The sentiment was stamped on a pinked-edge banner, and there's a very finely-detailed stamp behind it (details in caption) in Crumb Cake ink. I had a floral sprig already stamped (in Crumb Cake) and trimmed out, so I tucked it behind the banner and also tied some vintage thread on it. I glued it down with Ranger Multi-Matte adhesive. 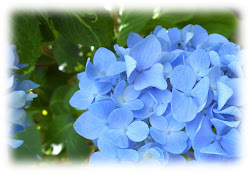 Love that stuff. 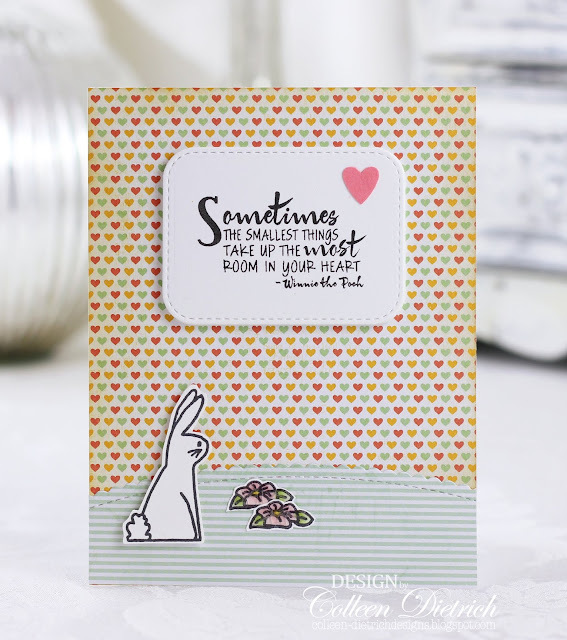 It dries clear, and you don't need much to get good staying power. 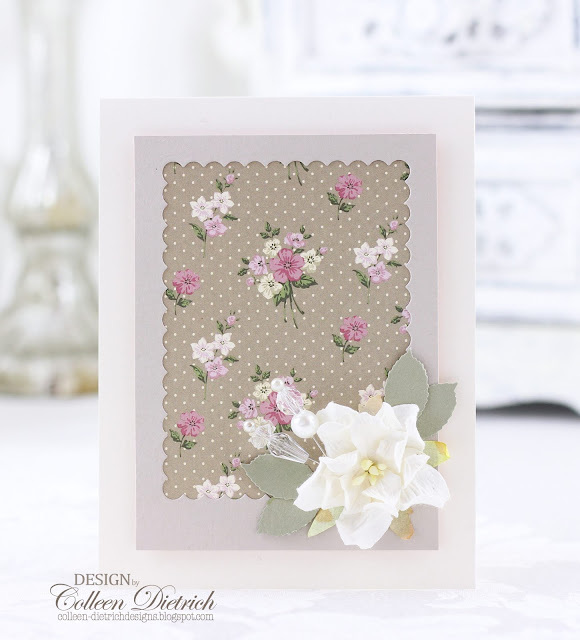 The final card was pretty easy to put together, and I'm sure the floral strip of patterned paper looks familiar from the card above. 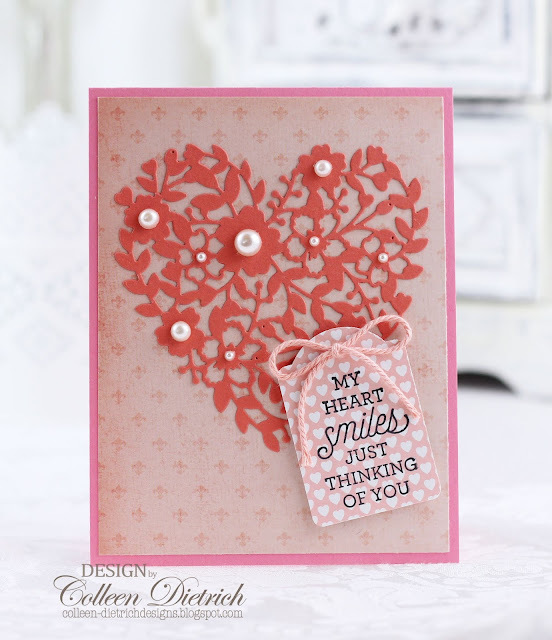 I used a pink pattern from who knows where, LOL, I don't remember where it came from. 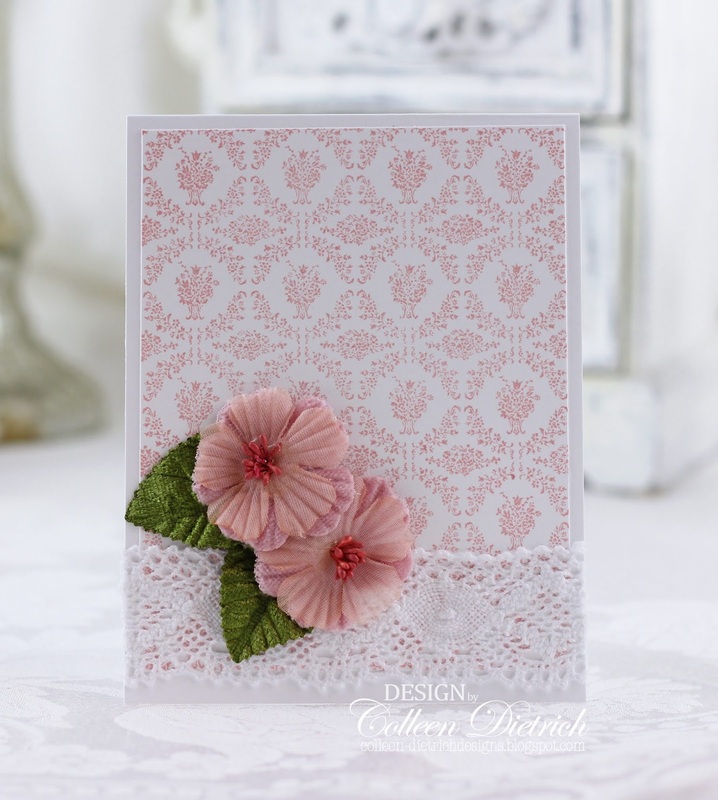 It just happened to match the pink seam binding scrap from - you guessed it - an SU scrap bag, so on it went. 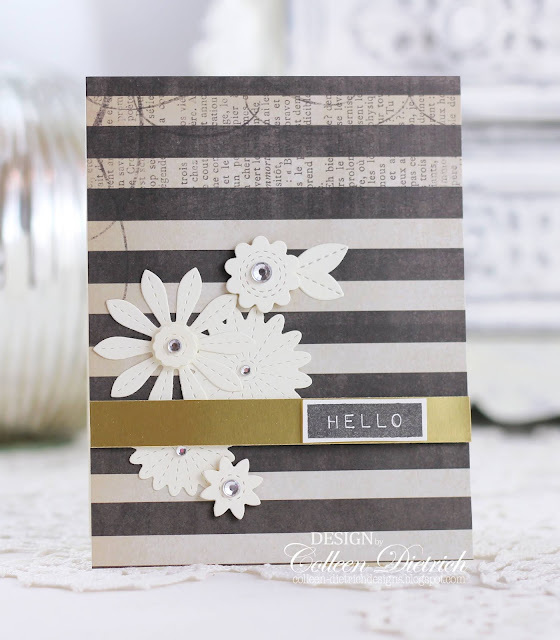 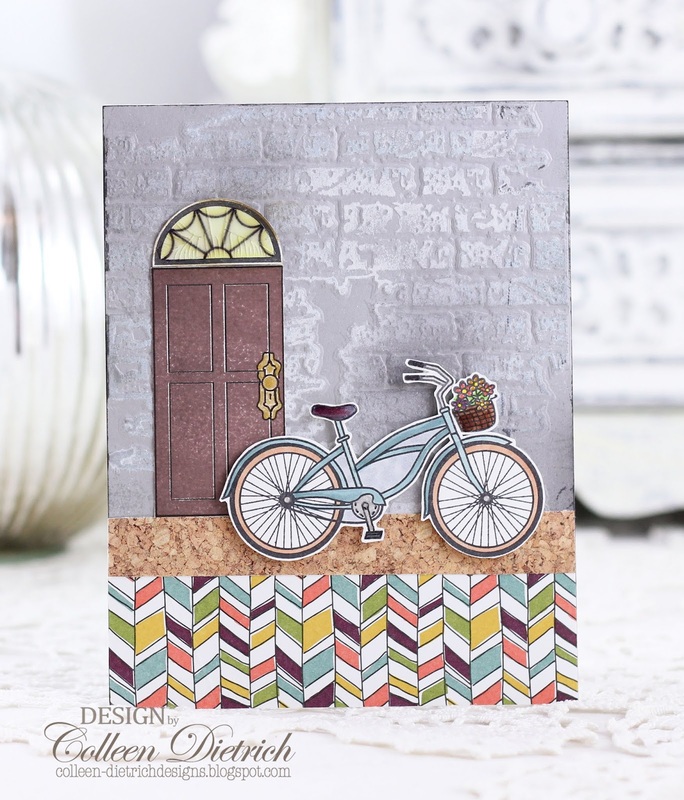 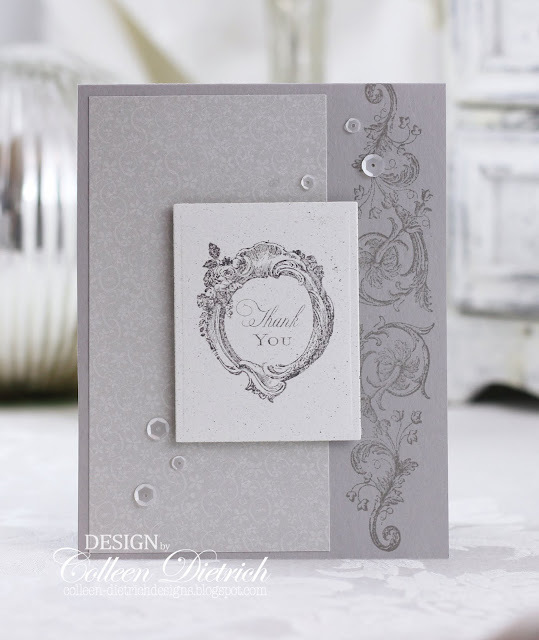 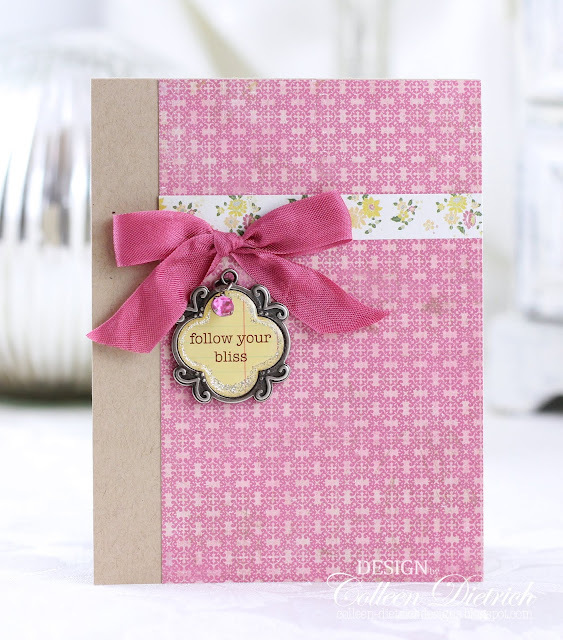 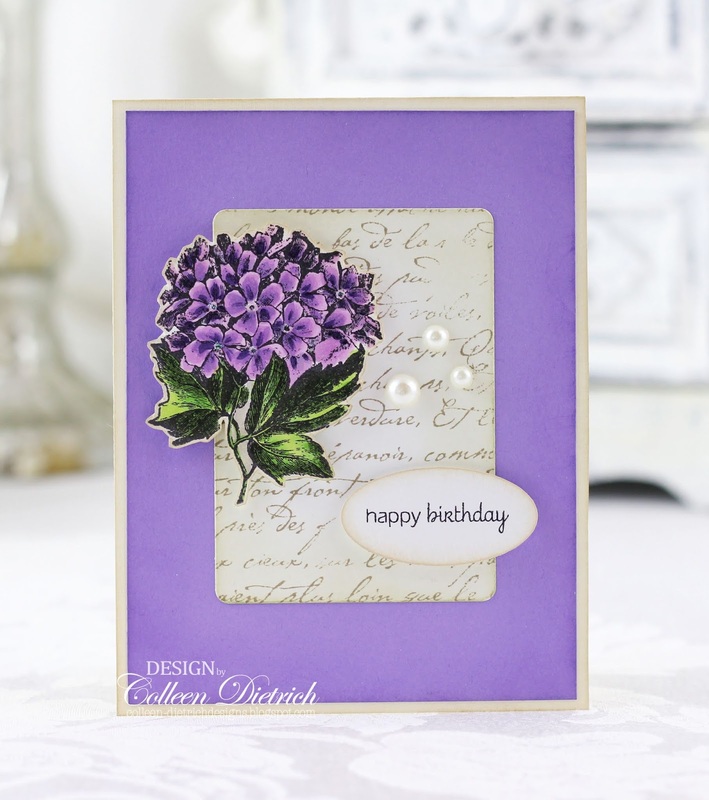 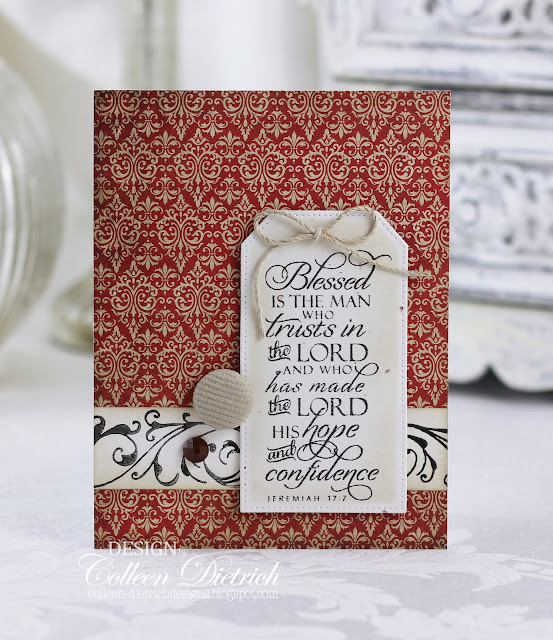 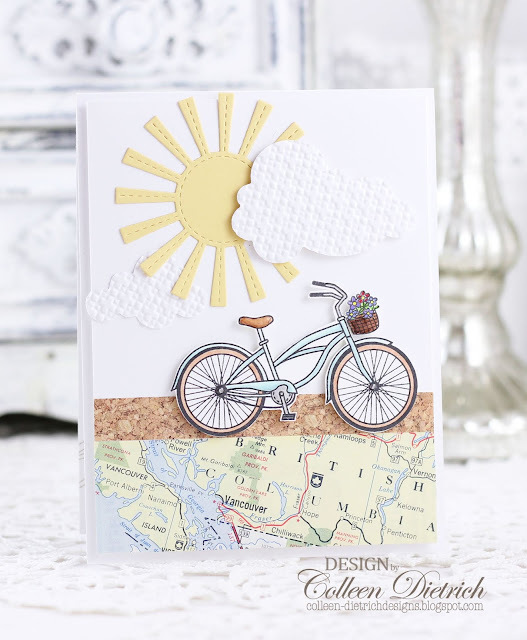 The 'follow your bliss' charm is from Girls' Paperie 'Paper Girl' kit of accents. Girls' Paperie charm - pink seam binding from Stampin' Up! So there you have it! Gearing up for springtime, with all these flowers. 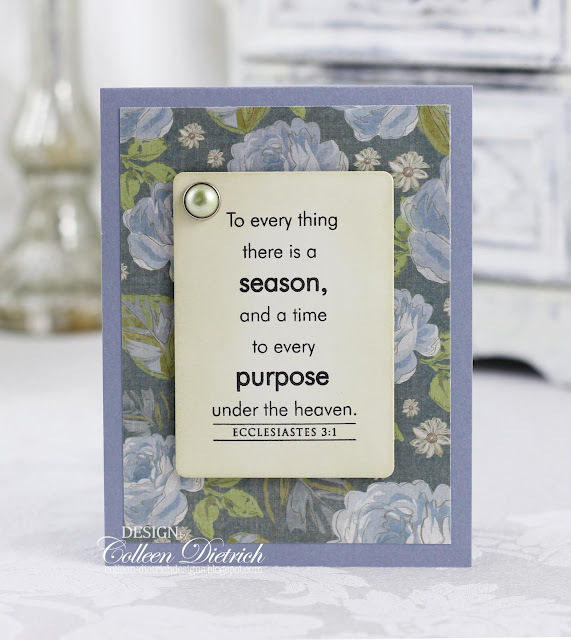 We're expecting a little bit of snow tomorrow. Warmer days will come! 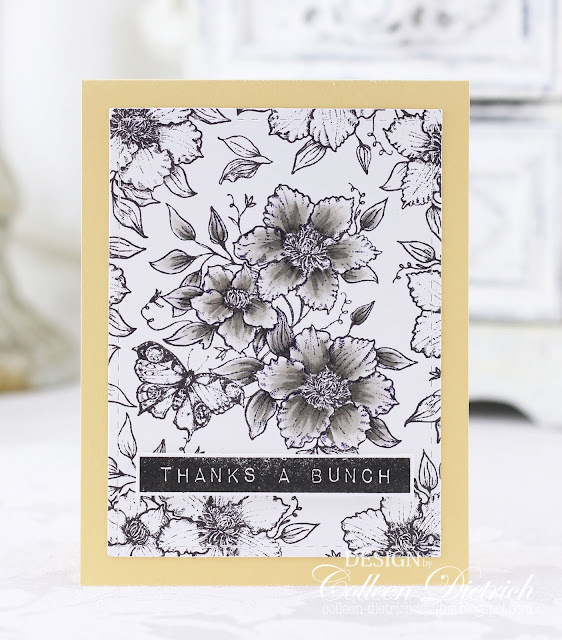 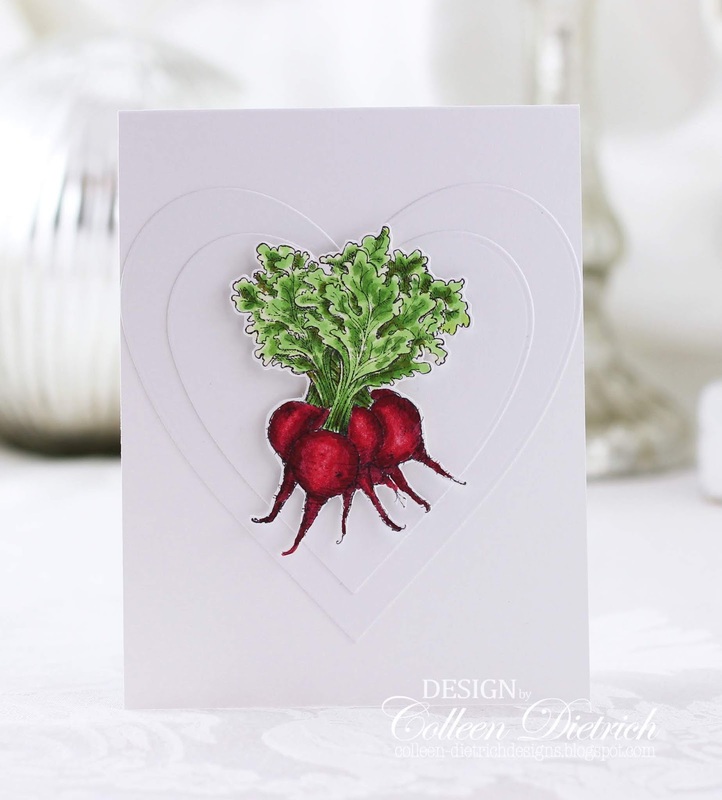 Thank you for coming by today to take a look at the cards I've made! 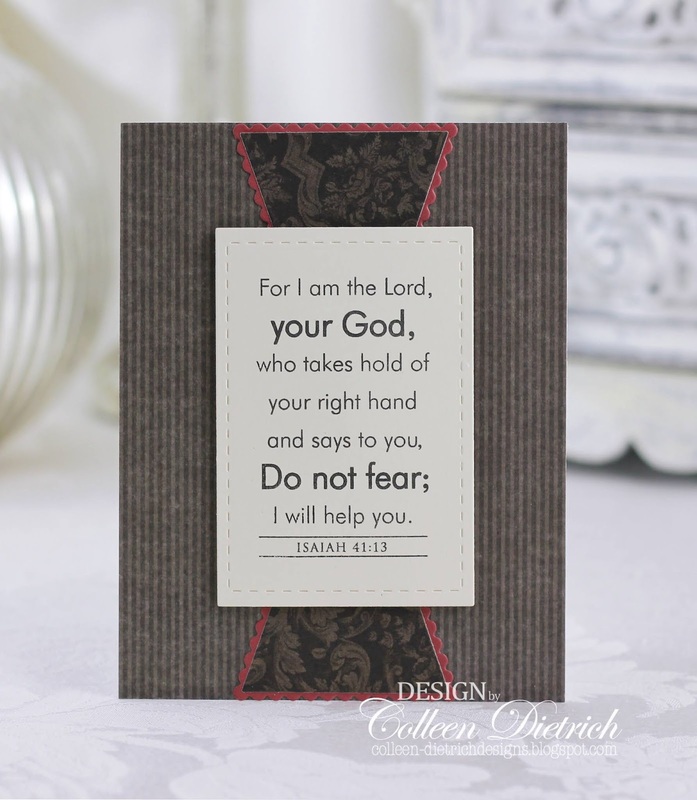 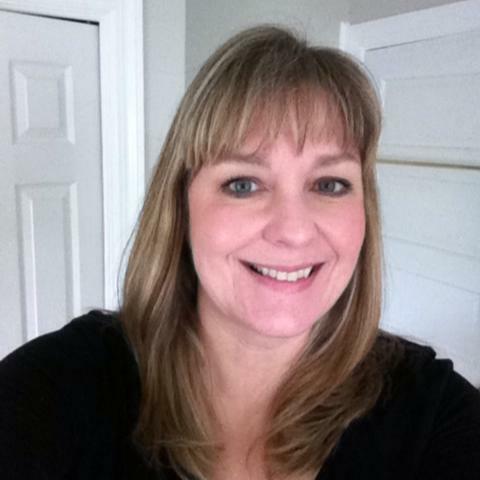 Hope you have a wonderful weekend ahead, and God bless you!